There’s a lot that goes into proper Porsche maintenance to ensure that you’re getting the best kind of performance and durability out of your prized investment. Among the most important kinds of yearly maintenance is getting a regular tire alignment. 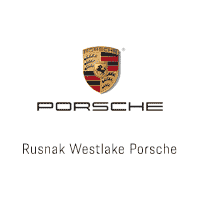 Follow this guide to see if it’s time to get a tire alignment, and then schedule for service near Malibu at Rusnak/Westlake Porsche in Thousand Oaks. Your vehicle pulls to the left or right – If your vehicle has a natural tendency to shift to the left or right, forcing you to continuously make adjustments with your steering wheel, then you need a tire alignment. Your steering wheel is misaligned – If the vehicle is going straight but your steering wheel is turned to the left or right, that’s another sign a tire alignment is in order. Your tires are wearing unevenly – Misaligned wheels cause your tire tread to wear unevenly over time. If you’ve noticed that’s the case, then come in for a wheel alignment or tire rotation. Your steering wheel and/or chassis have been vibrating – If you’ve been experiencing pulsing or shaking in the chassis or steering wheel, this is another key sign that it’s time to come in for a tire alignment. How Often Should I Get a Tire Alignment? There are plenty of DIY auto maintenance you can do, including oil changes and filter replacements, but it is generally recommended to leave tire alignments to experts with the proper tools on hand. How Much is a Tire Alignment? You can usually expect a tire alignment cost to come in somewhere between $75 and $200, depending on the shop. Schedule a Tire Alignment Near Westlake Village Today! If you’re ready for a tire alignment or any other kind of Porsche maintenance or repairs near Agoura Hills, then allow the certified technicians at our Porsche service center to help! Our dealership is located at 3839 Auto Mall Drive in Thousand Oaks, CA, and you can reach us at (844) 245-3668. 0 comment(s) so far on What are the Signs I Need a Tire Alignment?